1. How (ADVERBS CARD 22) the (NOUNS CARD 1) (VERBS CARD 21)! 2. We (VERBS CARD 97) (VERBS CARD 2) the (NOUNS CARD 74) (ADVERBS CARD 42). 3. We (VERBS CARD 1) (ADVEBS CARD 42) seen such a (NOUNS CARD 24). 4. 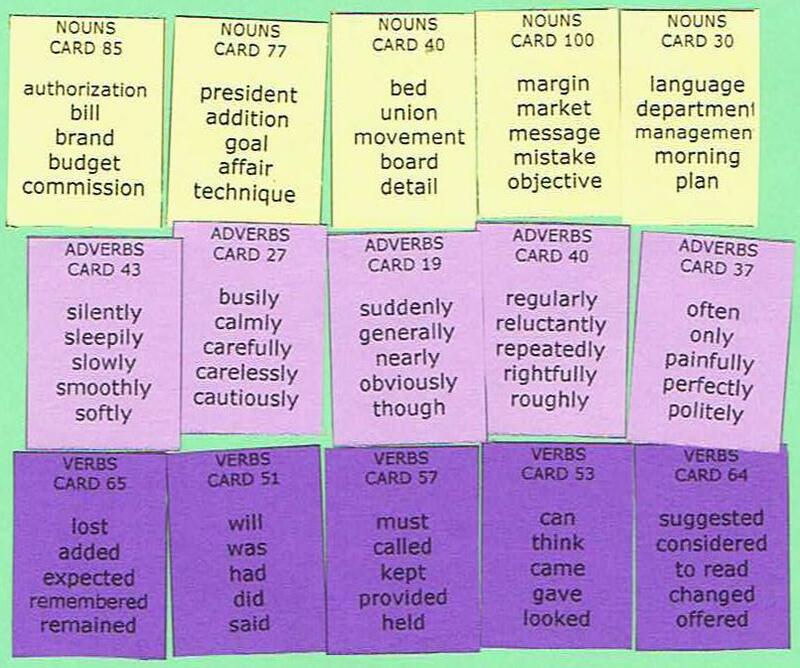 You (VERBS CARD 53) (VERBS CARD 2) the (NOUNS CARD 94) very (ADVERBS CARD 28) from here. 5. I (ADVERBS CARD 16) (VERBS CARD 53) not (VERBS CARD 11) the (NOUNS CARD 50). 6. 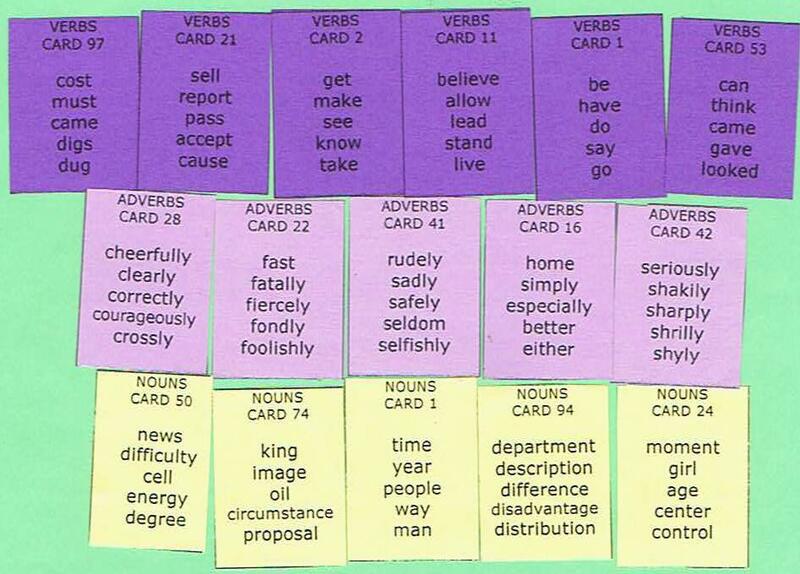 I (VERBS CARD 44) the examiners' (NOUNS CARD 10) very (ADVERBS CARD 15). 7. He (VERBS CARD 44) on his (NOUNS CARD 1) (ADVERBS CARD 16). 8. 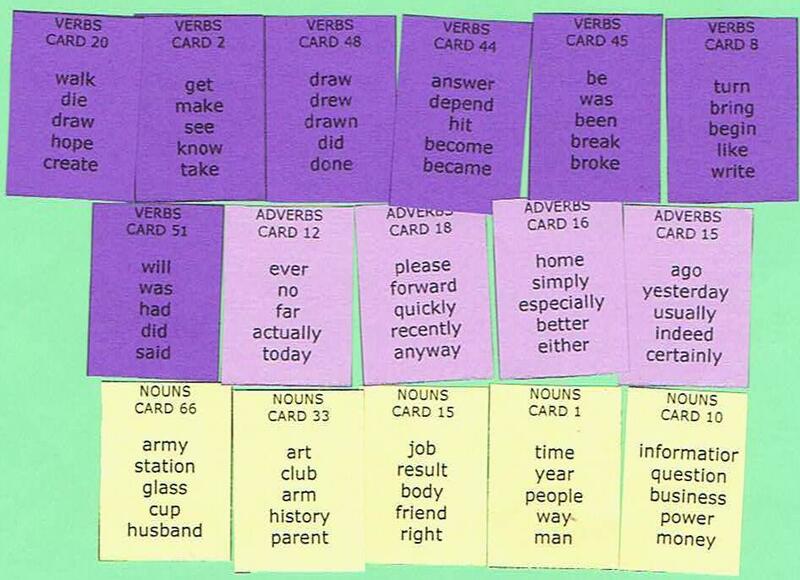 (VERBS CARD 2) the (NOUNS CARD 15) (VERBS CARD 48) (ADVERBS CARD 18) you can. 9. I (VERBS CARD 8) the (NOUNS CARD 33) (ADVERBS CARD 16) than the present. 10. We (VERBS CARD 51) to (VERBS CARD 20) very (ADVERBS CARD 12) to (VERBS CARD 2) to the nearest gas (NOUNS CARD 66). 11. After negotiation we (VERBS CARD 75) the (NOUNS CARD 22) (ADVERBS CARD 45). 12. In the residence, every (NOUNS CARD 29) is (ADVERBS CARD 15) (VERBS CARD 57) with their own room. 13. Today, people are worried that CO2 has (ADVERBS CARD 25) (VERBS CARD 83) the ecological (NOUNS CARD 3). 14. The new transportation will (VERBS CARD 2) (NOUNS CARD 82) (ADVERBS CARD 43) possible to the airport . 15. The (NOUNS CARD 24) was told to (VERBS CARD 7) her brother (ADVERBS CARD 36) while the mother was going out. 16. He is (ADVERBS CARD 19) (VERBS CARD 64) the best candidate for the next (NOUNS CARD 77). 17. When I (VERBS CARD 57) my friend in the (NOUNS CARD 30), she (ADVERBS CARD 43) answered. 18. When I (VERBS CARD 53) water to the plant (ADVERBS CARD 27), I spilled the water on the floor by (NOUNS CARD 100). 19. Although it was long time ago , he (ADVERBS CARD 37) (VERBS CARD 65) the (NOUNS CARD 40) of the meeting. .
20. 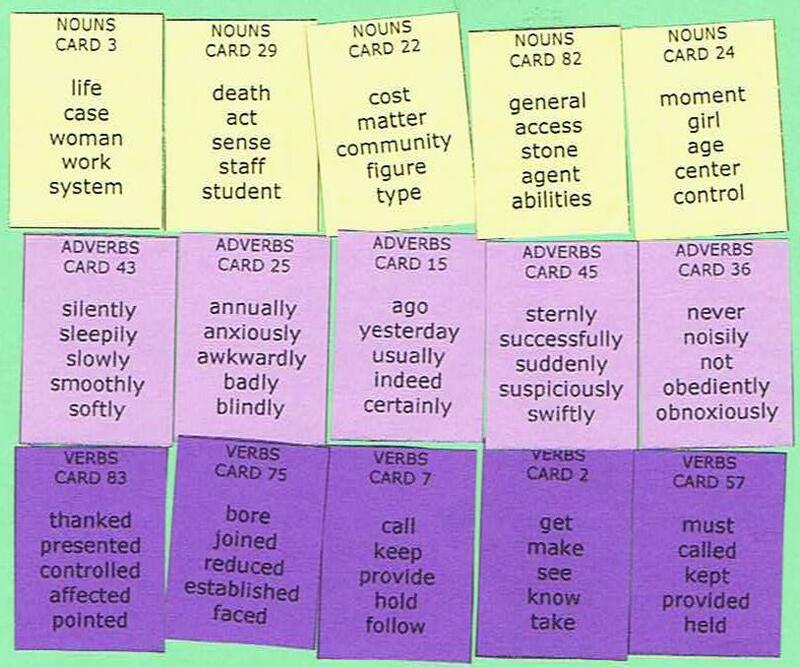 The (NOUNS CARD 85) is known by lots of people, because they (ADVERBS CARD 40) (VERBS CARD 51) big campaigns.